Stephen J. Brown is Emeritus Professor of Finance at the Leonard N. Stern School of Business, New York University. He studied at the University of Chicago, earning an MBA in 1974 and a Ph.D in 1976. Following successive appointments at Bell Laboratories where he served as District Manager of AT&T’s Pension Fund, and Yale, he joined the faculty of New York University in 1986. He was appointed Executive Editor of the Financial Analysts Journal in September 2015. This Journal, sponsored by the CFA Institute reaches 130,000 print subscribers worldwide and is the leading journal for the publication of practitioner-relevant articles that advance the knowledge and understanding of the practice of investment management. 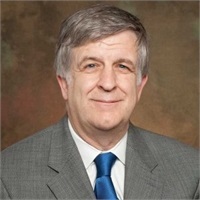 Prior to this role, he served as a Managing Editor of The Journal of Financial and Quantitative Analysis and has served on the editorial board of other academic Journals. He has published numerous articles and five books on finance and economics related areas. Dr. Brown has acted as an advisor to leading financial management firms in the U.S., Asia and Australia. He has served as an expert witness for the US Department of Justice and has testified on his research before a Full Committee Hearing of the U.S. Congress House Financial Services Committee in March 2007.